They got hit by cosmic rays. In the most fantastic ways! Ooooh Twilight Sparkle is elastic! Fluttershy can fade from sight! Rainbow Dash is The Pony Torch! Apple-Thing just loves to fight! This idea just came to me out of nowhere! I was thinking about the Fantastic Four, and then...LIGHT-BULB! Twilight Sparkle as "Ms. Pontastic"
Fluttershy as "The Invisible Mare"
Rainbow Dash as "The Pony Torch"
Is Nightmare Moon looking hungry? And Pony Doom is near. Do you run and hide in fear? No way! No way! No way! 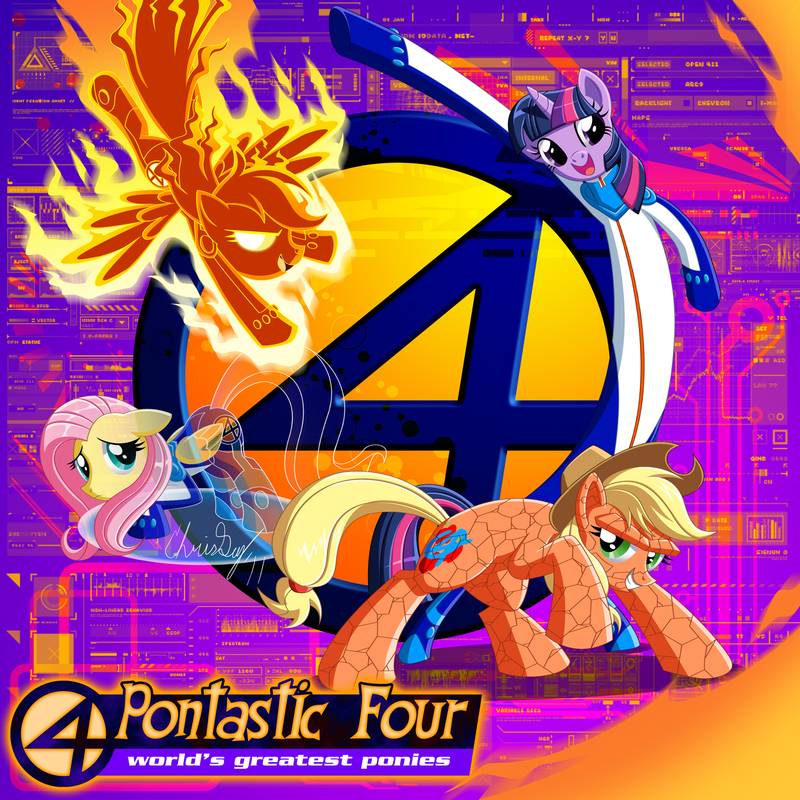 Looks great but i think Pink fits ms. "pontastic" better :P just a thought. but like I said. its a great pic.